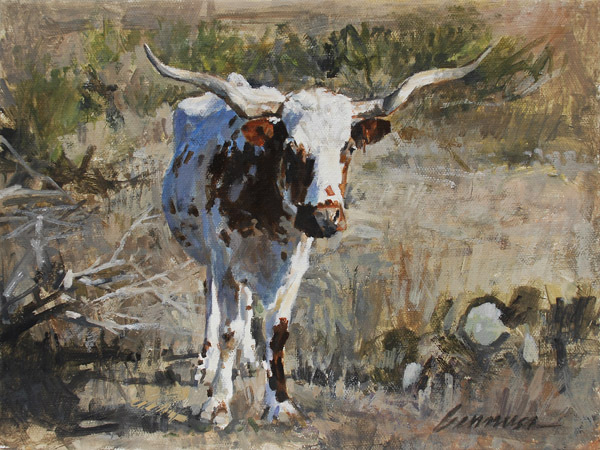 Gennusa loves to paint the Texas longhorns. You might say they are his "Pride and Joy." A lone steer stands out against a tangle of cacti, brush, and broken branches. In this rugged pasture, the longhorns feel right home. Texas considers this breed of cattle a Lone Star icon.